Presenting the first generation of its all-new platform, Alfa Romeo's 2019 Giulia perfectly embodies the brand's "la meccanica delle emozini" spirit--the mechanics of emotion. Either driving or simply witnessing this vehicle in action conveys utmost luxury, control, and sophistication. Race-inspired with class-leading horsepower, advanced technologies, and available all-wheel drive, the Giulia provides a seductive choice within the midsize sedan segment. 2019 brings a bunch of new style options to further enhance the Giulia's epic high class demeanor. What features are standard for the 2019 Giulia? The Alfa Romeo Giulia comes in six great trims, all enhancing the included features and standards into a high end beauty, plenty unique to attract the limelight wherever you go. Two new exterior paint options are added in 2019, making the total fourteen amazing color options to further the one-of-a-kind feeling, ranging from classy blacks, white, and greys, to bold reds and blues. One is added to the interior color palettes for now four available standard options, with one Lusso exclusive extra and five Quadrifoglio exclusives, as well. All vehicles are equipped with high quality leather upholstery. A 6.5- or 8.8-inch widescreen touchscreen is centered upon the dash, equipping drivers with Bluetooth, navigation, Apple CarPlay, Android Auto, HD radio, and SiriusXM. Other great standards include passive entry, remote start, bi-xenon headlamps with LED daytime running lights, LED taillight, reverse-view camera, rear parking sensors, and a DNA Drive Mode selector providing enhanced handling or efficiency at the turn of a knob. Optional bonuses include a Harman Kardon audio system upgrade, power sunroof, newly available heated rear seat, and 18- or 19-inch aluminum alloy wheel selections versus the standard 17-inch alloy wheels. Can you tell me what's new for 2019? New appearance packages are the hype of the new model year, with five of the six trim models receiving a debut look. First up is the Nero Edizione, providing the Giulia, Ti, Sport, Ti Sport, and Quadrifoglio trims with dark miron detailing. Grille, mirror caps, headlamp bezels, and badges receive the miron treatment, with added black window surrounds tying the look together while choice of black, red, or yellow brake calipers have the chance to make a bold flash. Alfa Romeo's signature 5-hole aluminum wheels are equipped with a dark finish to really ride in style. Next, the Ti Sport and Quadrifoglio also gain a Carbon appearance pack, coating the grille, mirror caps, side skirts, interior accents, and illuminated door sills with carbon grey. Other additions include dark exhaust tips, badging, headlamp bezels, as well as monochromatic wheel caps and a leather-wrapped dash and upper door trim with accent stitching. How do the powertrains perform? Two engines provide some of the best performance you'll find in the midsize sedan segment, first being the standard all-aluminum 2.0L turbocharged direct injection four-cylinder powertrain. This base already supplies a best-in-class 280 horsepower in both rear- or all-wheel drive configurations. The AWD models transfers up to sixty percent of its 306 pound-feet of torque to the front axle for fantastic handling prowess. This engine launches from zero to sixty miles per hour in 5.1 seconds, achieving a top speed just shy of 150 mph. Developed from Ferrari, the next engine is the 2.9L twin-turbocharged V6 equipped only in the Quadrifoglio. This 505 horsepower powertrain achieves zero to sixty mph in just 3.8 seconds and features a top speed of 191 mph. 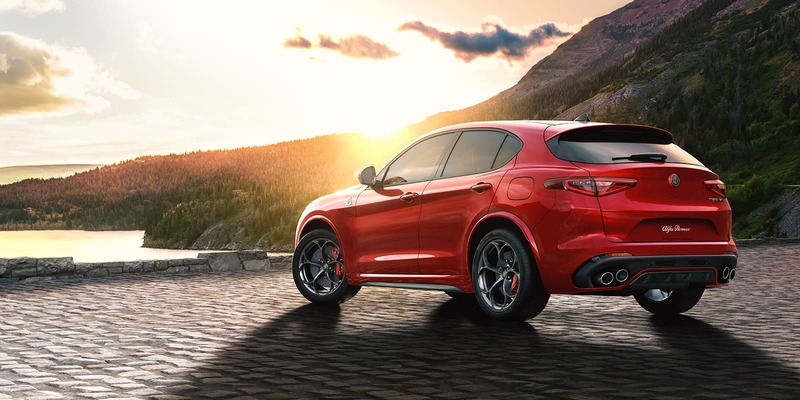 The Quadrifoglio supplies splendid balance and weight, providing one horsepower per seven pounds, making it responsive, quick, and thrilling to drive. This is the most powerful vehicle of the entire Alfa Romeo line and fastest four-door production sedan, in fact, setting a record lap time of 7:32 at Nürburgring. 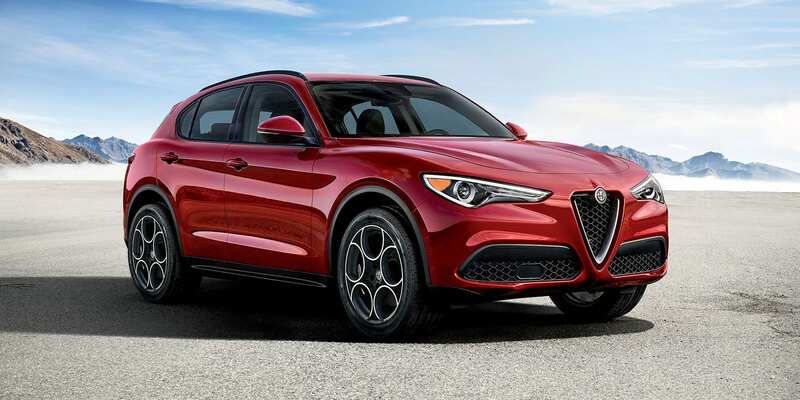 The 2019 Alfa Romeo Giulia is a swift, sleek luxury vehicle that exceeds needs and caters perfectly to practically any want you'd want out of a midsize sedan. Fast, powerful, and with all the latest and greatest technology to elevate your drive, any of the Giulia's trims are advanced, finely-tuned machines exemplary of the dedication and passion the Italians place in their engineering.